We don’t need another antihero, but Todd Phillips’s upcoming Joaquin Phoenix-starring Joker movie looks... terrific? 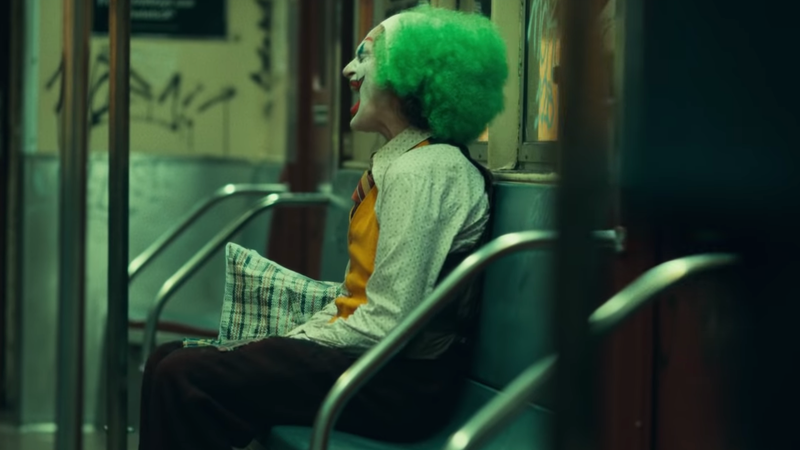 A legitimately creepy entry not just into the D.C. cinematic universe but to the clownaissance currently underway in mainstream cinema, thanks to the success of It? Maybe a bit sad, approaching emotional honesty, even, in its apparent illustration of how tragedy comes wrapped in other tragedies? It’s out in October and apparently influenced by Taxi Driver (Complex reports that Martin Scorsese will have an executive producer credit). Zazie Beetz and Robert De Niro will be in it. After so many Joker stories already having been told onscreen (1989's Batman, 2008's The Dark Knight, 2016's Suicide Squad), you have to wonder what is left to say about a maniac bozo. But maybe it’s not so much a matter of what’s being told, and more about the nasty, ’70s-tinged tone in which it is being said. We’ll see.